Don't blink or you'll might miss your chance to order the Mighty Morphin Power Rangers Green Ranger SH Figuarts Action Figure - San Diego Comic-Con 2018 Exclusive. 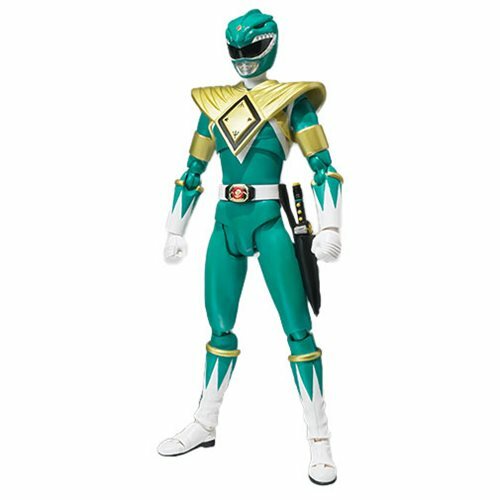 The Green Ranger returns in this special 25th Anniversary commemorative edition action figure featuring a head sculpt of Jason David Frank as Tommy Oliver from the original Mighty Morphin Power Rangers television series. Digital painting is used to replicate Tommy's face in minute detail. Measures about 5 9/10-inches tall.